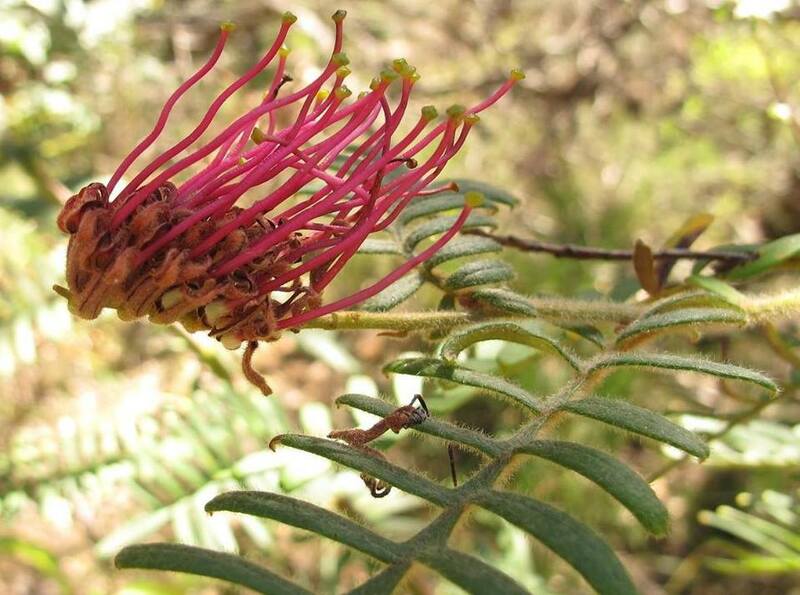 Grevillea caleyi, now critically endangered. Image taken in Bush at Ingleside/Terrey Hills verges - picture by A J Guesdon, 31.10.2014. Information supplied by Northern Beaches Council staff - with thanks. Beaches. Due to its environmental significance and importance to our community, Council has invested significant resources to continue restoration works within the various reserves and creek-lines of this catchment. Upper Middle Creek contract: The main reserves that this contract is addressing include Jindabyne, Nandi, Wakehurst Park way, Rabbett, Corymbia, and Peppercorn Reserves. These reserves receive funding from Council and the RFS for Hazard Reduction works. Jamieson Park contract: A diversity of Council activities has been undertaken including bush regeneration works, hazard reduction burning, and installation of nest boxes. There has been powerful owl and barking owl sightings within the reserve. This contract has also included bush regeneration works in Ambleside, South Creek, Lantana Ave and Windermere Reserves. Four contracts have been underway within the Deep Creek region with two focusing on bush regeneration and two on bushfire hazard reduction activities. A bush regeneration contract has focused on the core areas of bushland and along riparian creek-line. Works included substantial weed control and revegetation of 200 tube stock plants focusing on areas of low biodiversity values. Oak Woodland. This projects site is located near Wakehurst Parkway and Elanora Road. Deep Creek Fire Mitigation grant funded works has been completed along the Elanora Road urban interface and the Elanora Road Bushcare site. Deep Creek Rural Fire Service Local Government Programme grant hazard reduction works at the urban interface along Wongala, Woorarra and Amaroo Roads has also been undertaken. Bilarong Foreshore Reserve has included a bush regeneration contract and Green Army project. The Bilarong Foreshore Reserve Bush Regeneration contract has resulted in works along the track, entrances and within core areas. The Green Army project comprised a team of 8-10 staff that worked both the Bilarong Foreshore area near Deep Creek outlet as well as the area within Middle Creek on the western side of Wakehurst Parkway near the Narrabeen Sports Academy. Kundibah Reserve, Elanora Heights bush regeneration contract included hazard reduction works and an area burn undertaken in August 2017. This was also undertaken for ecological purposes due to this site not having been burnt for over 20 years. Kywong Reserve works included hazard reduction, revegetation works and bush regeneration. Nareen Wetlands bush regeneration contract has been implemented to target both riparian and aquatic weeds. Council has successfully applied for Environmental Trust grant funding for this project to continue into the next financial year. Ingleside Chase Reserve bush regeneration contract has a component of the project that focuses on Mullet Creek which flows through Warriewood Wetlands into Narrabeen Lagoon. The final year of a 6 year Environmental Trust grant awarded to Pittwater Environmental Foundation to control weeds along the riparian areas of Mullet Creek from Ingleside down to the floodplain and waterfall area within the reserve has been completed. Works included substantial enrichment planting within the floodplain and Irrawong Reserve to replace thickets of Coral Trees and Ludwigia. Warriewood Wetlands bush regeneration and water weed control project is underway restoring a section of Swamp Schlerophyll endangered ecological community and habitat for Grey Headed Flying Fox colony. Cromer and Beacon Hill contract: The main reserves that have undergone bush regeneration works during the financial year has included Red Hill, Oxford Falls Quarry, Golden Grove, Moonarie, Grover, Washington, Government, and Cromer Reserves. Additionally bush regeneration contracts have been established as part of the Cromer to Curl Curl contract which includes Lilihina Reserve. A Duffys and Caleyi contract has seen bush regeneration works in JJ Hills Reserve. The Oxford Creeks Bush Regeneration Project is underway utilising Crown Lands grant funding , and St Matthews Farm Bushregeneration project is undertaking targeted weed control with a Bushlink volunteer group working monthly. Council’s Bush Regeneration Team have also been working along South Creek at Toronto Avenue. 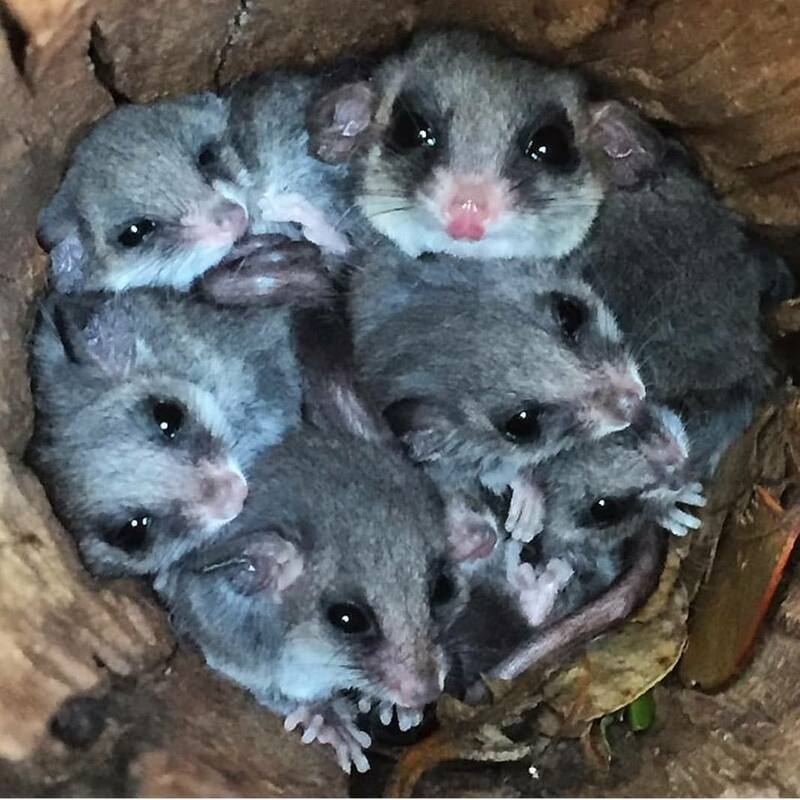 Council has also been undertaking Fauna monitoring in the upper catchment of Ingleside Chase Reserve monitoring the activities of Eastern Pygmy Possum. This project has been underway since 2012. This work included 30 nest boxes installed in the heath area near Ingleside Chase Reserve and the Ingleside Elanora Heights area. 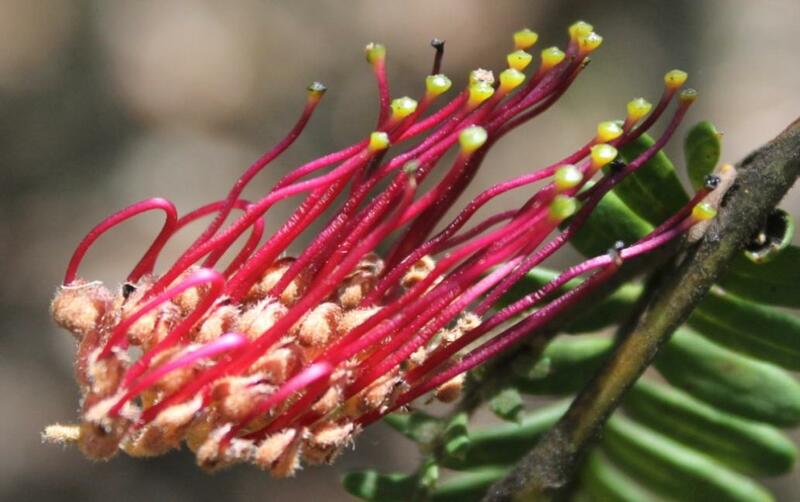 We are making progress in ensuring the survival of the endangered Grevillea caleyi and would like you to join us for an interesting morning of bushcare. Meet on site at the picnic shelter at 8.30 am. New volunteers welcome - training provided. The session will be cancelled in the event of rain. Mullet Creek project launch by Pittwater MP Rob Stokes, Welcome to Country by Neil Evers, Guringai elder. Thanks to bush-care staff of Pittwater Council who did the hard work and Pittwater Environmental Foundation for instigating the project.